The ABA’s List of the Top 25 Legal Movies. 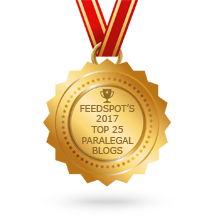 ≈ Comments Off on The ABA’s List of the Top 25 Legal Movies. Earlier this year, the ABA Journal asked 12 prominent lawyers who teach film or are connected to the business to choose what they regard as the best movies ever made about lawyers and the law. We’ve collated their various nominees to produce our jury’s top picks. Together these films represent 31 Oscar wins and another 85 nominations as befits the best work of some of the greatest actors, writers and directors of their time. So quiet, please. A rap of the gavel, a pull of the curtain, and ‘Hear ye! Hear ye!’ for the 25 greatest law films ever made. . . .